The Great Ales of Wales! Tomos Watkin is brewed with pride and passion in South Wales, their award-winning beers aren't called The Great Ales of Wales for nothing. Tomos Watkion wanted a new eCommerce website that was simple to use and on-brand throughout. Their aim is for customers across the UK to be able to sample and drink Tomos Watkin beers through an easy eCommerce experience. 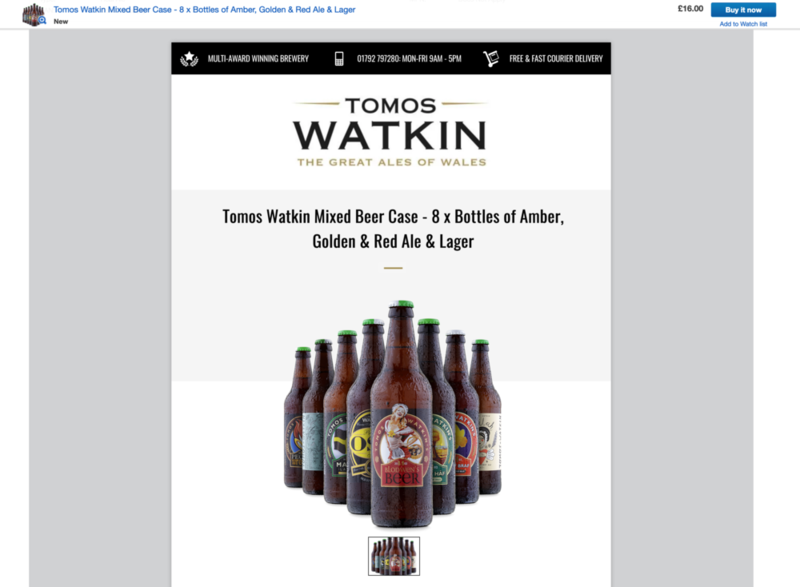 Tomos Watkin’s old website had a seperate section for craft beers, the shop element and the information pages, making the brand inconsistent. Tomos Watkin requested a new eCommerce website where all these elements were in a simple website interface, on-brand and easy to order your favourite beers, or explore new beers. In addition, we added features such as Booking a Brewery Tour and selecting Pic ‘n’ Mix beer gift packs.